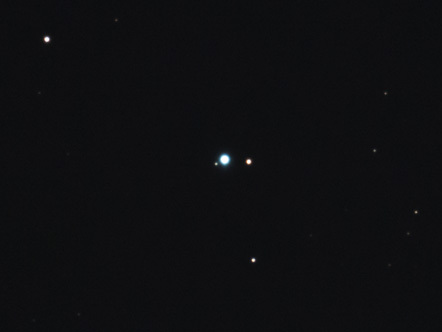 Uranus imaged at about 5,600mm focal length; 11-inch telescope. Uranus' five principal moons (and heavily overexposed planet). Click on the image to toggle labels. Neptune imaged in 2014; 11-inch telescope. The moon Triton (magnitude 13.8) is at top (the object at left is a background star). A wider view from 2013. Neptune and Triton are seen amid the background stars of Aquarius. 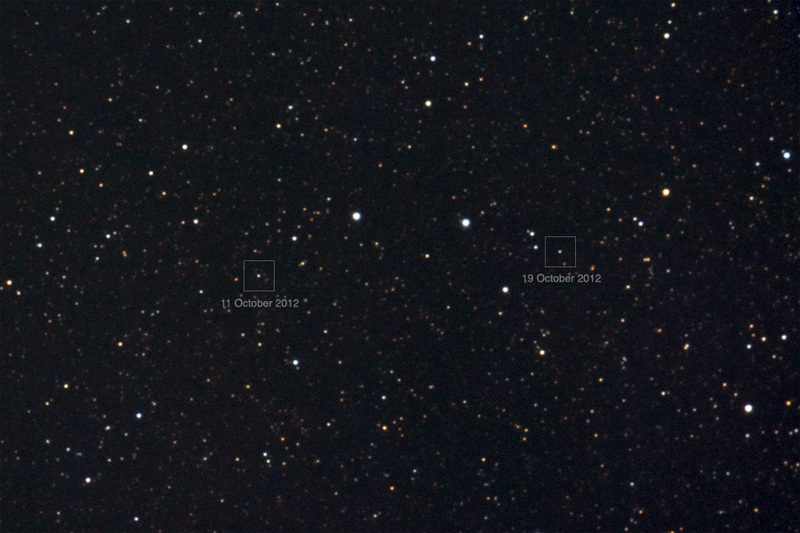 Spot Pluto: click on the image to toggle between two shots and look for a small "star" that changes location (from left of centre to right of centre, then back and forth). 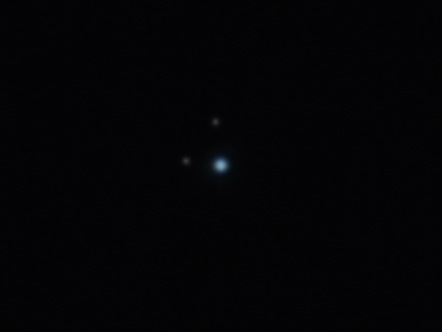 Pluto was in Sagittarius and shining feebly at magnitude 14 when this pair of pictures were shot on 11 and 19 October, 2012. Indistinguishable from a star, only its movement betrays it. The brightest stars in the field are about magnitude 10 or 11, the faintest, about magnitude 17. 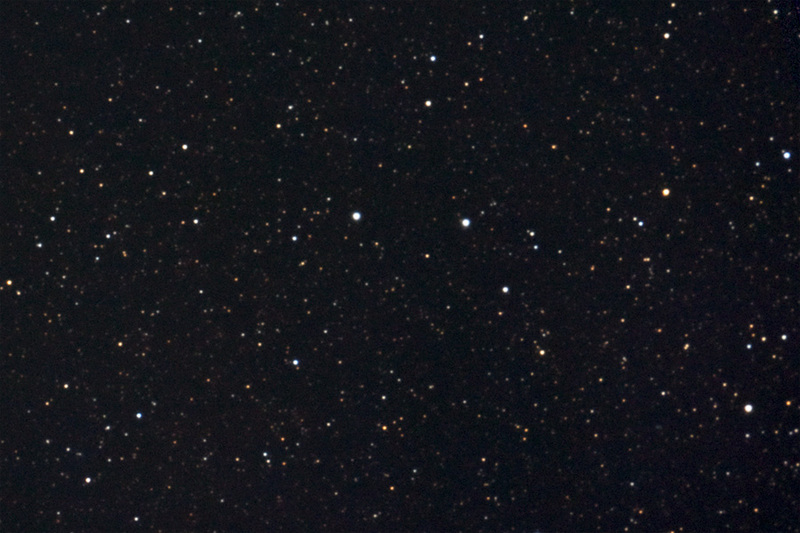 These images are crops from originals made with an 11-inch Schmidt-Cassegrain telescope at 2,800mm focal length. Can't spot it? see below for a key.